Total width :37 7/8 in. Interior width (floor) :17 3/4 in. Interior length (floor) :46 in. Interior width (top) :26 5/8 in. 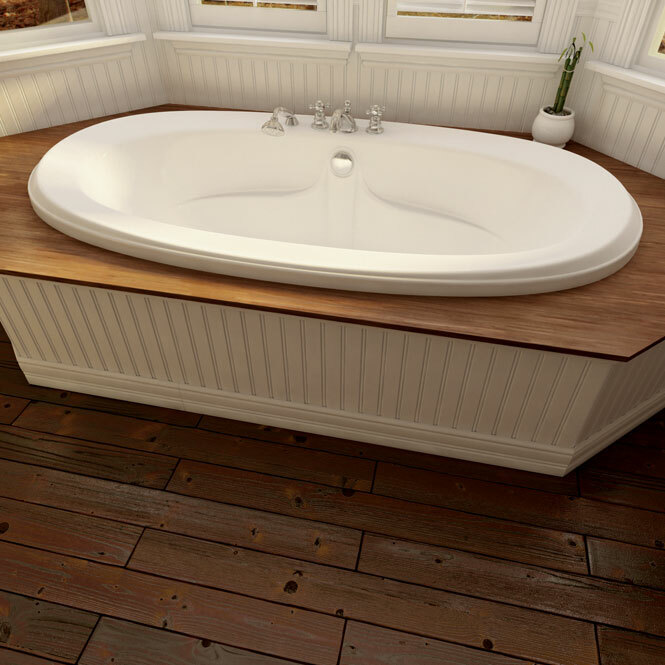 Bath’s total height :22 1/4 in. Interior length (top) :60 1/4 in. Maxi-comfort water depth :14 3/8 in.